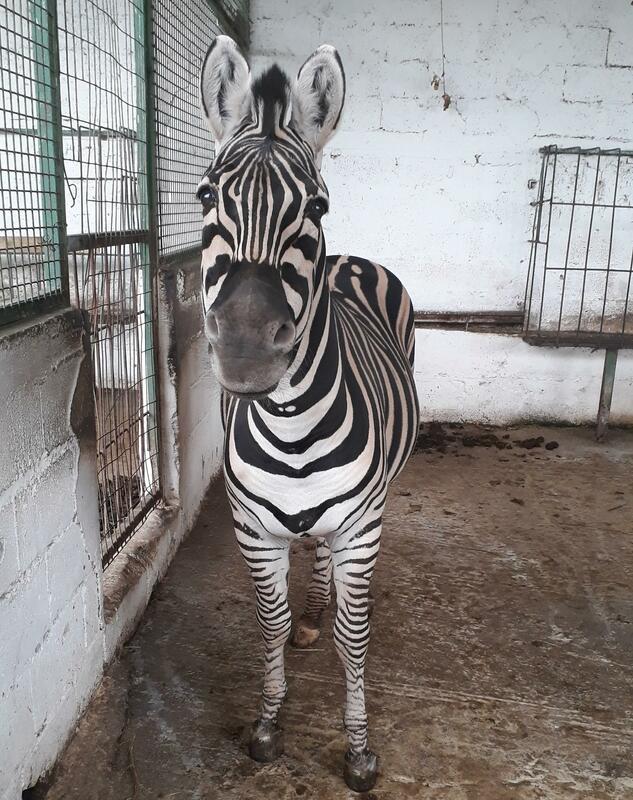 A team consisting of FOUR PAWS, Albanian authorities and local police are gazing at the fragile looking padlock that is keeping the iron gate leading into what has been named "Europe's worst zoo" shut. It is hard to believe that after all that we have been through, this vapid obstacle could mark the end of a long journey. 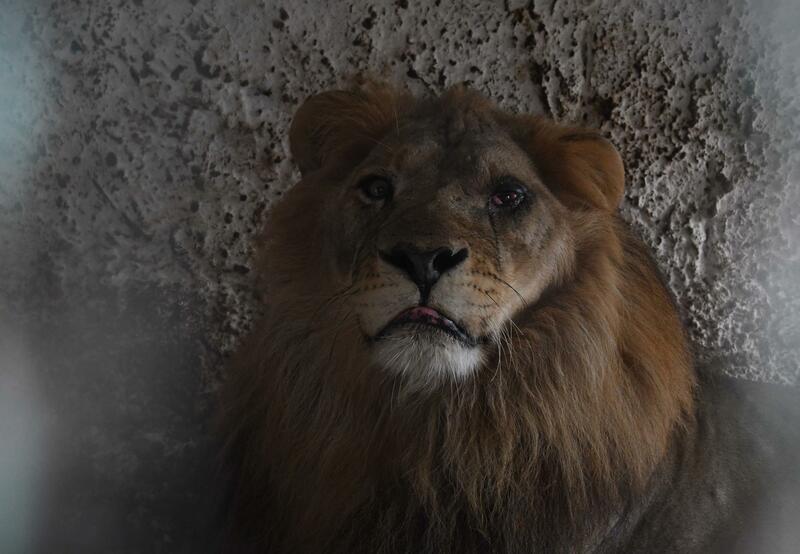 After years of investigation and raising pressure against the Albanian government this was supposed to be the day of rescue for the animals that have been suffering in Fier Zoo for way too long. Policemen carrying Kalashnikovs, journalists from international media stations and random onlookers have gathered for the showdown of our mission. An elderly man is yelling something in Albanian to one of the officers, it is hard to tell whether he is on our side or not. Our instructions are to wait for the owner of the zoo to officially open the gates in order to let us in. Every minute that passes, the rusty padlock is looking sturdier. After hours of waiting, a policeman finally steps up and cuts through the lock with one short snap of a pincer. Chaos unfolds as everyone wants to make his way inside the zoo at once. 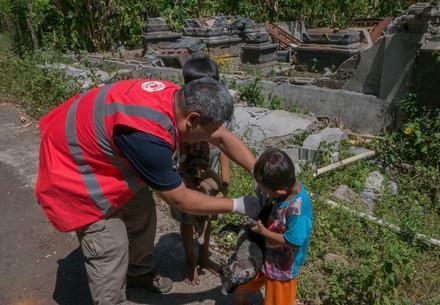 The authorities do their best to keep the situation under control and finally our vet Marc Gölkel and his team manage to set up a medical station in the center of the areal. Driven by this favorable turn of events we try to get the animals ready for transport as fast as possible. In the midst of our efforts, we suddenly hear loud shouting and swearing ascending from the entrance area. The zoo owner and his crew have finally arrived at the stage and he is furious. 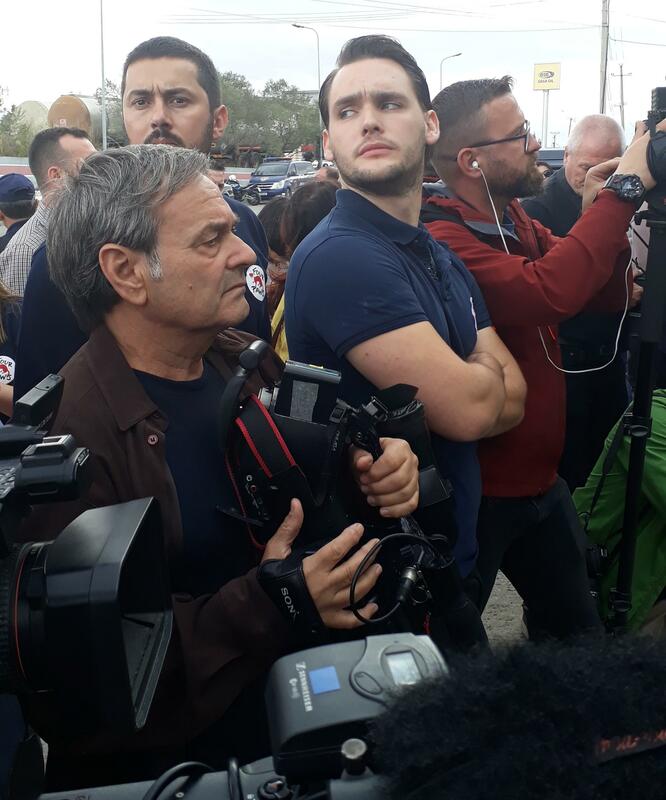 He insults us in Albanian, yells around and pushes a journalist so hard his camera almost fell to the ground. None of the policemen who are here to protect us are present as they are busy keeping the entrance under control. Before the situation escalates, finally some officials come to assist us and keep the enraged owner in check. However, the owner kept coming back, shouting and insulting as, and every time he had more men with him - at the end of the day we were facing a whole army of angry looking family members. 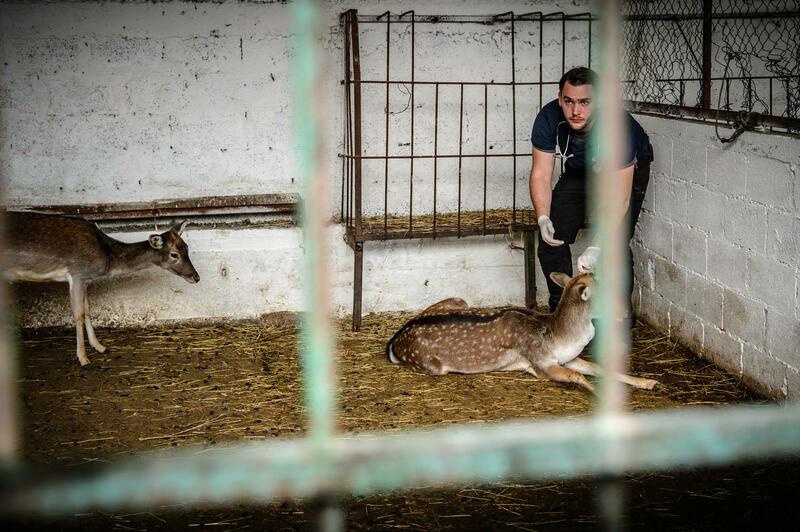 Time passes quickly while we are working hard to get one animal after the other out of their enclosures. During the day we are accompanied by a small dog, who is so thin that he managed to squeeze through his cage bars. He hardly leaves our side, even taking small naps besides our team members. When the owner notices that even his own personal dogs want nothing more than to escape he loses it. 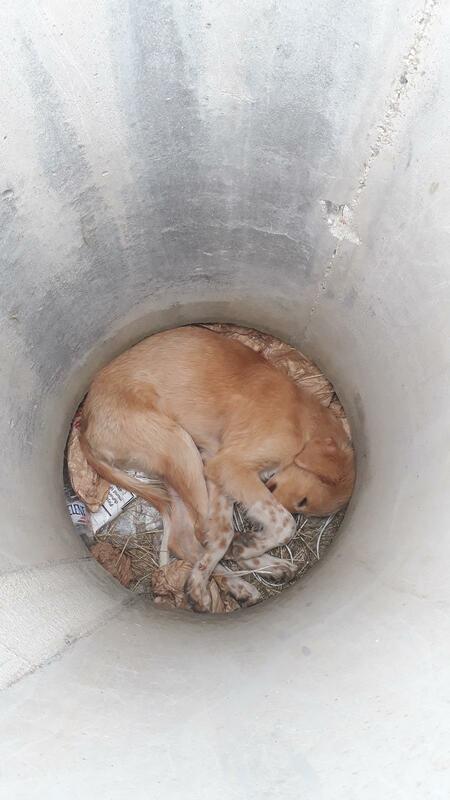 He rushes over to the dog, brutally grabs him by the neck and throws him into an abandoned concrete tube. While this breaks our heart, we have no legal ground to take the dog with us. However, we give each other looks saying that this isn't over yet, but we first focus on getting the job done with the other animals. We search the whole zoo but cannot locate either the tortoise nor the eland that we were supposed to rescue. When we open yet another lion cage, we make a horrifying discovery: on the ground next to the lions brindled pieces of meat are scattered that can only originate from one animal - the eland. To rescue the two lions Bobby and Zhaku we had to sprinkle them with water and even use sticks to make them step down from the pedestals they are cowering on. 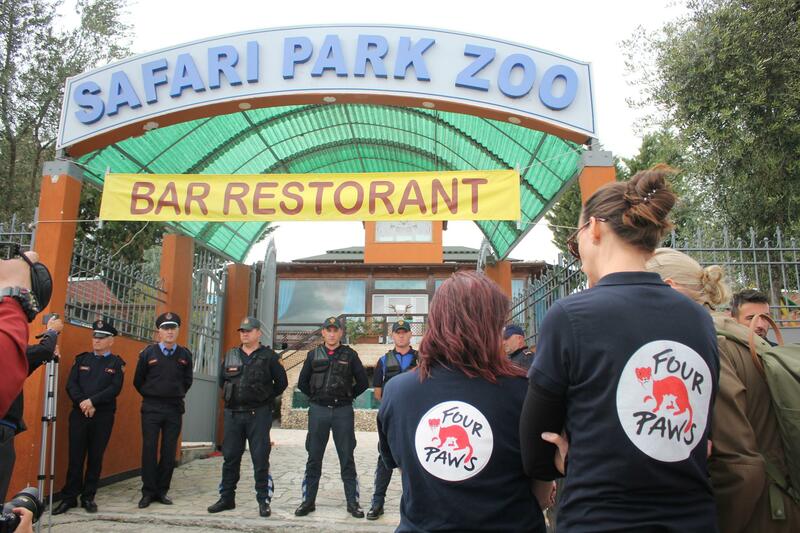 However, after years of being brutally treated in the zoo, they don't react to our efforts. In a dangerous maneuver we have to sedate them four meters above the ground and carry them passing rusty iron bars looming from their shabby cages. As it is already evening, the lack of natural light provides an extra challenge - but things should get even tougher. All of a sudden the lights go out. Now the situation has changed from serious to outright dangerous. The locals had warned us that whatever happens, we need to get out of the zoo once the sun sets. Apparently the owner decided to shut down the generators and we now have to be extra careful to not hurt ourselfes on broken tiles, piles of debris or other random objects looming in the dark narrow corridors of the areal. We are trying to block out all thoughts of what might happen if we run into one of the owner's men in the darkness. Finally we are done and every animal made it into one of our trucks - except one: the little dog is still trapped in his concrete prison, awaiting a grim fate. While the owner and his troops are distracted, we lift up the pipe and put the dog in a box that we quickly hide behind some of the other cages. All seemed to go well - until the poor guy starts whimpering. One of the owner's men realizes what is going on: he knocks hard against the truck door and the dog starts barking. What happens then, none of us will ever forget in our lives: Furious with hate the man takes the little box with the dog trapped inside and smashes it on the ground. This has been one of the most dramatic missions I have ever been part of. I will never forget the moment the zebra passed away after all our efforts. However, I am very proud on how brave our whole team acted during this dangerous rescue. Seeing all the animals that we managed to save is the best reward. 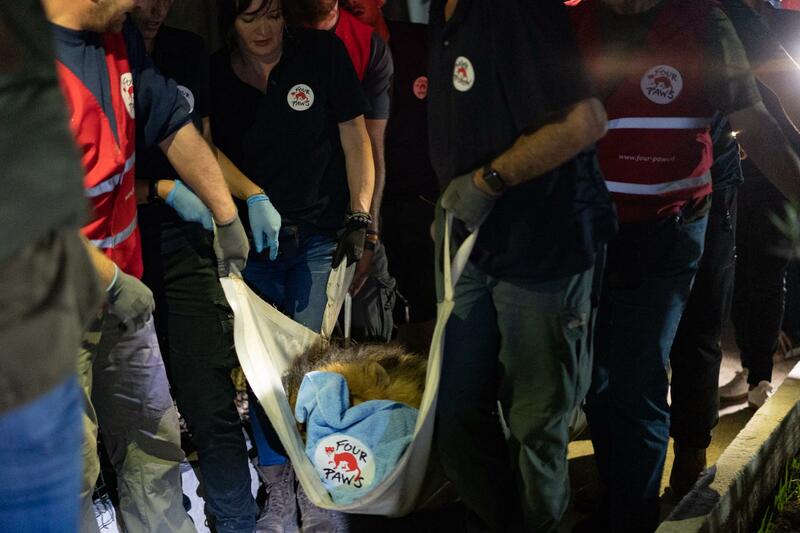 Shocked by this incident and by the fact that we have no legal ground to take the dog with us, we have to start our drive back to Tirana zoo. And this long day has unfortunately one more tragic chapter for us: upon arrival, the zebra breaks down. We fight for his life with all that we have, but he doesn't make it. This has been one of the longest and most horrifiying days of my life. 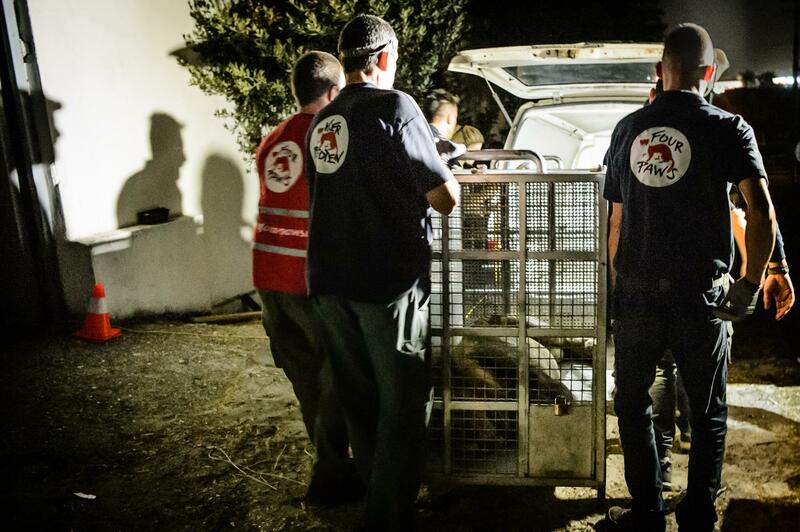 I am glad and proud that we managed to rescue so many animals but I will also never forget what happened to some of the ones we were not able to save. Having trained as an architect, back in the year 2000 Ioana Dungler was heading towards a promising career as an interior designer, when she decided to take on a totally different challenge: the role of temporary press officer for the newly opened FOUR PAWS office in Romania. 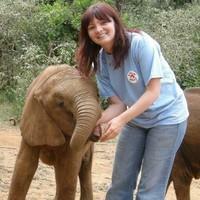 But what started as a temporary job has become a life time career in animal protection. Her strong character, combined with her passion for helping animals, led Dungler to move to FOUR PAWS headquarters in Austria, where she now works as International Director of the Wild Animals Department – a key role for the organisation. As Director of Wild Animals, Dungler supervises important international projects, including the FOUR PAWS big cat and bear sanctuaries, as well as the horse project and ORANGUTAN FOREST SCHOOL.